Satisfy your chocolate craving with this very simple chocolate cake recipe, just in perfect time to celebrate Australia Day this coming weekend. And this is also the perfect way to end NaturalTherapyPages.com.au's series (You can read the rest of the series here: part 1, part 2 & part 3). With this recipe you literally throw all of the ingredients into a bowl and mix! 1 cup self-raising flour or you can use spelt flour for added nutrition. If you choose to use spelt flour, add 2 tsp baking powder per cup. Learn more about spelt flour at the end of this recipe. Preheat oven to 180°C and line a 24cm cake tin and set aside. Place all ingredients into a bowl and using a hand-held mixer, mix on high for 4 minutes. Pour the batter into a cake tin and bake for 35-40 minutes or until the cake springs back when lightly touched in the centre. Spelt is an ancient cereal grain and is a distant cousin to wheat. Its flavour is slightly nutty and slightly sweet. You can use spelt flour as a substitute for wheat or white flour when baking bread. Spelt flour contains gluten, it should therefore not be used as a substitute if you are gluten intolerant or celiac. However, since it contains gluten, you are less likely to compromise the texture of baked goods. For those with a wheat intolerance, spelt flour has a high-water solubility, making it possibly easier to digest. 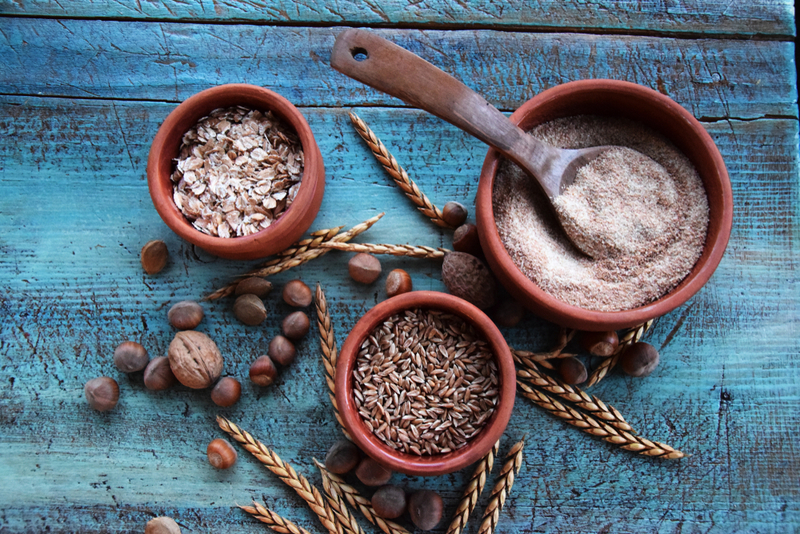 Spelt and wholemeal spelt flour offer more soluble fibre than both standard and durum wheat flours. Soluble fibre is particularly beneficial for lowering blood cholesterol and regulating blood sugar levels. Compared to wheat flour, spelt flour is richer in many nutrients, such as protein, niacin, thiamine, manganese, phosphorus. Spelt flour also the two essential minerals, iron and magnesium. Magnesium contributes to healthy bone tissue, supports muscle and heart function and activates enzymes needed for tissue health. Iron makes up a part of functional red blood cells and helps these cells transport oxygen to your other tissues.